Fun Fact #1 – There’s no actual honey in honeycomb. Well, not in this version anyway. Fun Fact #2 – Cooking is science. 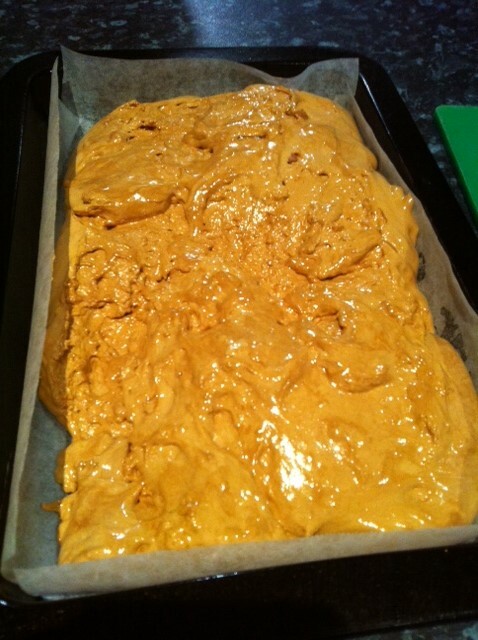 And what better way to prove it to your kids than watching honeycomb fizz and puff and grow to triple its size? 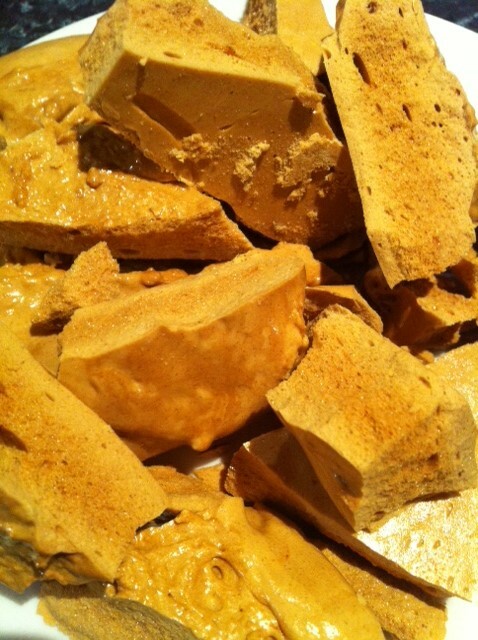 Fun Fact #3 – Honeycomb is crazy-easy to make. So, Honeycomb is number two in this series of little recipes that will fit together to make one seriously impressive dessert. In the meantime, why not have a trial run? Grease a slice or cake tray and set aside. 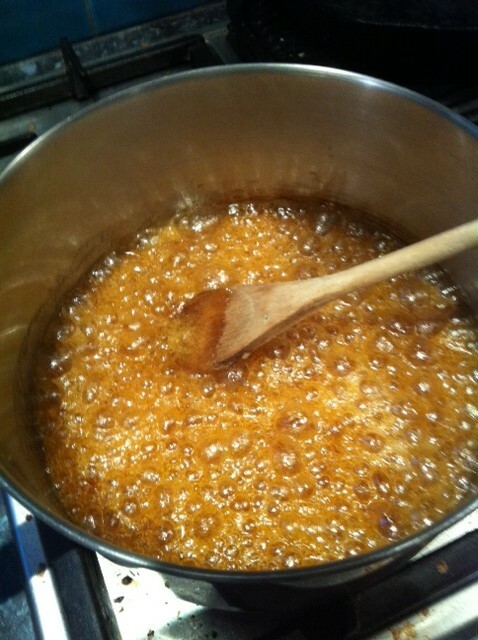 Add golden syrup and sugar to a large saucepan and bring to the boil. As soon as it’s boiling, turn the heat down to a low simmer for about 10 to 12 minutes – but stand by to make sure it doesn’t burn. When you think it’s time, add a drop of the syrup into a glass of water. If it is ready, it will become brittle as soon as it hits the water. Remove pot from the heat, and place close to your prepared pan on the bench. Add the bicarb and stir vigorously. It’s important to work fast at this point, because the mixture will foam up instantly and you need to get it into that cake tray as soon as possible. Leave at room temperature to set, then break into bit sized pieces. Delish!